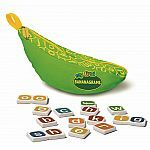 Bananagrams is the creation of three generations of the Nathanson family, spanning in age from 7 – 75 years. Some of us live in the U.S. and some in the U.K., but we are fortunate enough to meet every summer by the sea, at our home on the east coast of America. Abe Nathanson, our father, grandfather and friend loved his family. He also loved wit, wordplay and silliness but most of all, he loved to see people having fun. 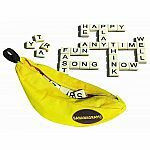 Without a doubt, Abe was the driving force behind Bananagrams and his energy and enthusiasm saw the germ of an idea grow to become an international phenomenon. 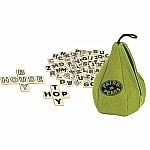 The original Bananagrams game grew from a passionate love of games. 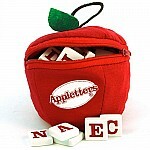 As a family, we loved to play almost any word game that we could find, but they all had their flaws and we hankered after something a bit faster and more fluid. We wanted a game that was competitive, but that the family could play together – ALL ages at the same time. It had to be portable, so that we could take it with us on our travels, with no superfluous pieces or packaging, and simple enough that we could play while waiting in a restaurants or hanging around in an airport. After marathon sessions playing and experimenting with various permutations of word games and subjecting our extended family and friends to hours of testing, we finally came up with Bananagrams. 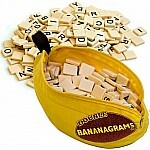 The name came from Abe declaring, “This anagram game will drive you bananas!” – hence Bananagrams! We knew we’d hit the target. We love the fact that one hand can be played in as little as five minutes, but as it’s so addictive, it’s often hard to put away! The pouch went with us everywhere. The kids wouldn’t leave the house without it - and still won’t! We didn’t set out with the idea of selling and marketing the game. We just loved playing it with our friends and family, made a few and gave them as gifts. Eventually, someone suggested we should share it with the general public. It just took off from there! 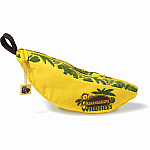 It’s fast, fun, and exciting...and most importantly - let’s face it – bananas are silly! We feel very fortunate that our games have been so well received. Thank you to everyone who supported us and put up with our obsession in the early days and to all those of you who continue to enjoy Bananagrams® as well as our other games.